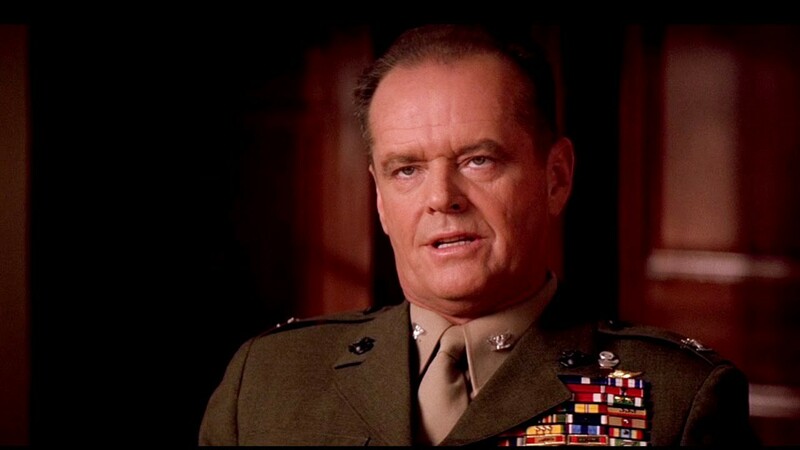 No one seethes as well as Jack Nicholson as Nathan Jessup. A Few Good Men. Dir. Rob Reiner. Columbia Pictures, 1992. I’ve been stepping down my antidepressant medication for about a month, in preparation for switching to a new medication. It ain’t a fun process. What I discovered — or “remembered” — as I reached the lowest dose of my old antidepressant this week is that my depression manifests as a constant state of anger. My unmedicated state is seething. As I got back in the unmedicated vicinity, the forgotten but very familiar sensation of simmering rage gradually filled my experience. (in a person) be filled with intense but unexpressed anger. That could just as easily be my personal definition of depression. Yes, at the root, I’m sad about something — or many somethings, or sometimes nothing in particular — and that is the foundation of the depression. If I manage to get out of bed, though, the sadness quickly turns to anger. My upright and conscious state is seething. I’m angry I’m sad. I’m angry I’m sad enough to need help. I’m angry I’m angry about that. I’m angry I have to hide my anger from nearly everyone. I’m angry I periodically explode at people who care about me. I’m angry I can’t fully control being angry. I can control my anger to some extent. I put on a charming act with cashiers while I’m shopping. I stuff down my angry complaints to interact with friends. I make cutting and snide comments about things I observe in the world, which helps to bleed off some of the pressure. With breathing and mindfulness, I’m often able to turn my anger down. The anger never goes away, though. The “control” I think I have is really just a deferment. Moving the boiling pot from the front burner to the back burner. The water may no longer be roiling and splashing over the sides of the pot, but it’s ready to get back to a boil in seconds. When I can stop controlling the anger, I feel a brief sense of relief as I let the churning rage take over my thoughts and facial expression. I stop pretending and just let myself be. The result is seething. It isn’t pleasant, and the relief of no longer pretending doesn’t last. It’s just normal. Along with the seething, there is sometimes a desire for justice, or retribution, or simply lashing out. If I can focus on what I think is a cause for a particularly hot part of the fury, I may perseverate on punishments that would “settle the score.” A person close to me recently expressed that sensation as “settling the score.” Exploring that with that person, I found that settling the score meant the same for me: some thought of how to either show how much pain I am in, or to show how the massive pain isn’t bothering me a bit. The thought of retribution is never doing something to someone else, or to some group. It’s more of an “I’ll show you” kind of feeling. Of course, due to depression, the actions necessary to do that showing typically go undone, which yields yet more anger. For those of you who are not depressed, it may be worth considering that sometimes when you interrupt a depressed person’s silence you have just broken into a suicide note mental drafting session. There’s still not an end to the story. No pithy advice. I merely thought I ought to write this down while it’s happening. I don’t think the depression stream-of-consciousness is accurately captured or distributed, so this is my latest contribution to depression awareness. I’m going to get through this and be fine. I took the first dose of the new stuff today. I am looking forward to rising back up out of this pit. Disclaimer: I am not actively suicidal. I’d be lying if I said it never crosses my mind, because it does. However, I don’t have a plan, I’m not giving my stuff away, etc. I’m just depressed. I’m confident I can control my actions and not hurt myself or others today. While I’ve been in this very low spot as I switch meds, I’ve made a point every day to say or think that at least once.